This is the perfect piece to layer with the flirty necklace, that will sit above to give it some sparkle and the lava drop lariat, that will sit below it to elongate the look! These 14k yellow gold letter earrings are the perfect gift for any Valentine! We love the letter stud paired beside the gold tusk of Ganesh ear jacket that will give your loved one some extra strength! Create a look that will make your loved ones fingers sparkle. Stack these rings with our diamond cuff, the "loved" ring and the lovers knot! These sterling silver bracelets will remind your BFF that your friendship comes with great love! 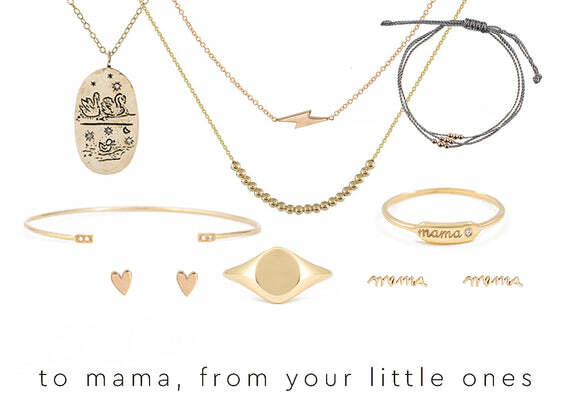 Shop plenty more silver love jewelry to create looks for the rest of your BFFS! This sterling silver love set comes with 6 beautiful strands that are meant to be passed on when you experience something special with a loved one, stranger or friend! Layer these sets with these pearl and stone bracelets to mix in different colours and texture! Shop these pieces online and in stores for all your Valentines! P.s... if cupid needs some help in the right direction you can now make a Wishlist online! Select the item you love and on the right hand side click the heart to turn blue. Click "View Wishlist" to save for yourself or share with others!